Creative direction, UI Design, Responsive, iOS, Android. 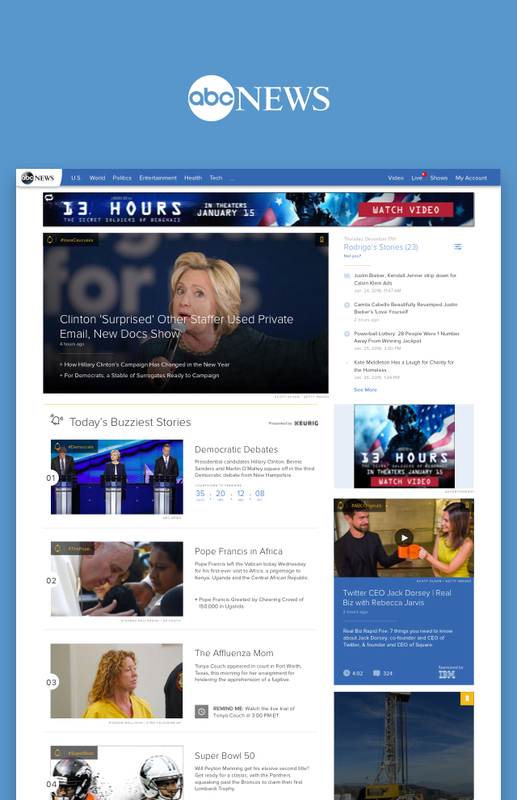 Working with a small team at Studio Rodrigo, we were asked to help refresh ABC News’ homepage leading up to the 2016 election. The challenge was to create a modular experience that was more engaging and visual; highlighting breaking news, live content and being able to integrate content from across the ABC family of networks. The redesign was rolled out to their homepage, and native iOS & Android apps. The design system was delivered and today it is led by the ABC Digital in-house team. 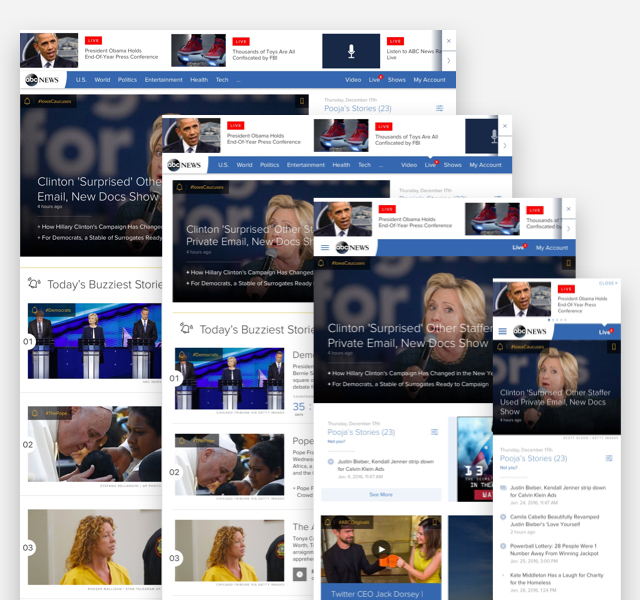 ABC News’ push into live content and a real-time news meant creating a responsive modular system that could visually arrange various implementations of video, imagery, and text in a multitude of devices. From sketches to final developer-ready design files, we worked closely with the digital team at ABC in NY to ensure all stakeholders’ needs were met. 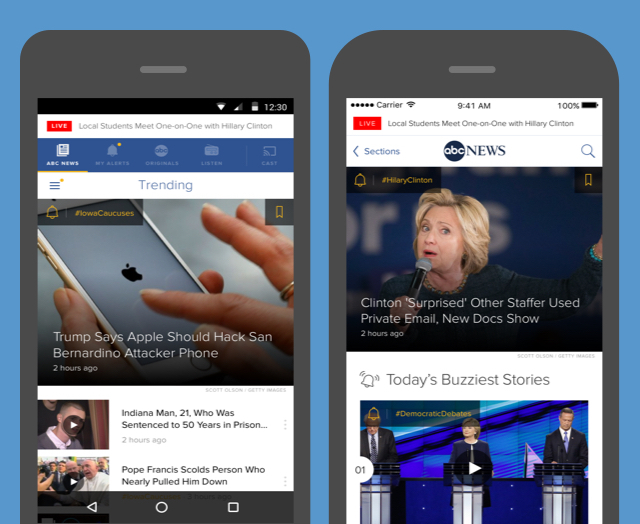 The design system was extended to include ABC News’ native iOS and Android Apps.